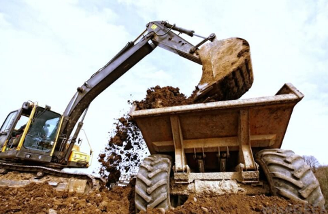 Welcome to Don Schnieders Excavating Company, Inc.
Don Schnieders Excavating Company has a proven record of excellence in Mid-Missouri, and over 50 years of service to our clients. Founder, Don Schnieders passed on the value of hard work, integrity, and loyalty - which owners Bruce Bax and Don Rhea proudly portray today. At Don Schnieders Excavating, we continue to hold ourselves to the highest standards, making certain to value our customers, take care of our employees, and give back to our community.